This companion book works hand-in-hand with interesting and engaging activities; new and revised questions geared to students interests and abilities. 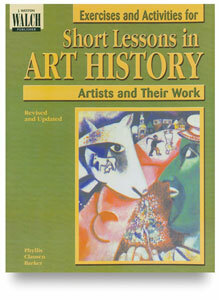 Helps to develop critical thinking skills and increases students' awareness of artists and their work. Paperback. 133 pages. 8½" × 11" (22 cm × 28 cm).